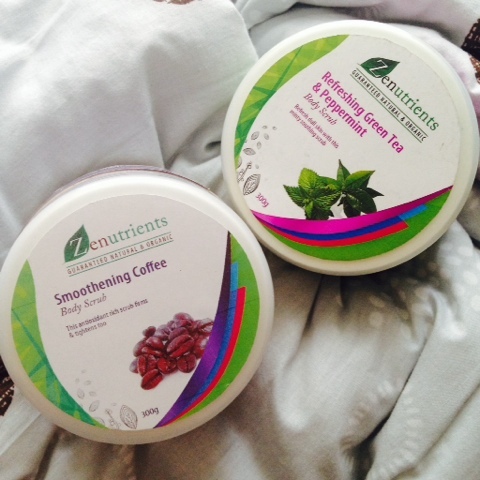 Zenutrients Body Scrub | Vanity and Everything in Between. One addiction that I currently have is getting a body scrub. I wasn't into this until last year when I was forced to buy a scrub due to IPL. After taking a shower and the body scrub, I knew this would be something I'd do every week. You can call it a luxury but I call it refreshing. Alrght, my first legit body scrub is those salts from the dead sea. While I love how it feels on my skin, I don't like the price tag that much. I had to look for alternatives. That's when these Zenutrients body scrub came to the rescue. I've seen those body scrubs in Zenutrients' kiosk in Megamall before and I told myself that I'd get myself one. The timing was just right because when I was halfway done with my dead sea salt scrub, I was invited to attend Zenutrients' Argan Line launch! Perfect time to get those scrubs! L and I use freshly ground coffee beans as scrub on weekends. We like the effect that we feel lighter after scrubbing and that it leaves a certain moisture on our skin. 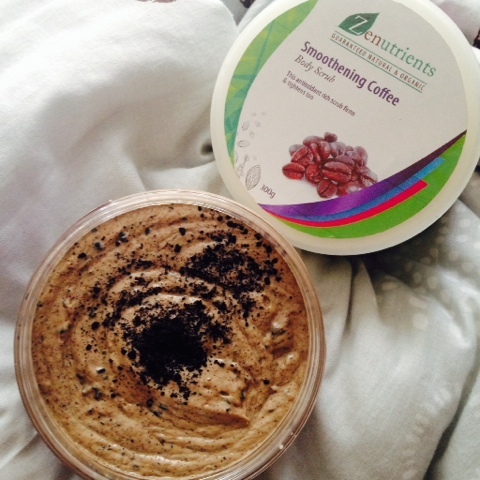 It was a no brainer for me to get Zenutrients Smoothening Coffee body scrub because of that. I'm enticed to eat this. Looks yummy, yeh? Smells good, too! Smoothening Coffee has actual ground coffee beans in it. It also feels like melted gelatine when I lather this on my skin. I use about 3 tablespoons to scrub my entire body. 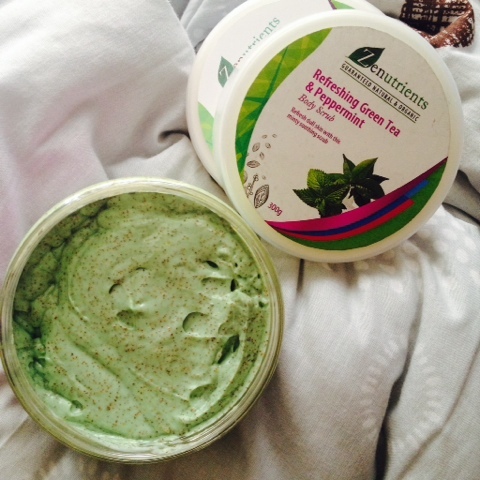 Refreshing Green Tea & Peppermint is pretty much straight to the point. You will feel refreshed afterwards because of the minty feeling after 30 seconds of scrubbing. L likes this a lot because of the minty feeling. I use about 4-5 tablespoons to stub my entire body because I want to heavily feel the minty feeling. I haven't scouted that much for different kinds of body scrubs just yet. As we speak though, I'm happy with the ones I have from Zenutrients because, well, these are the scrubs that I want. 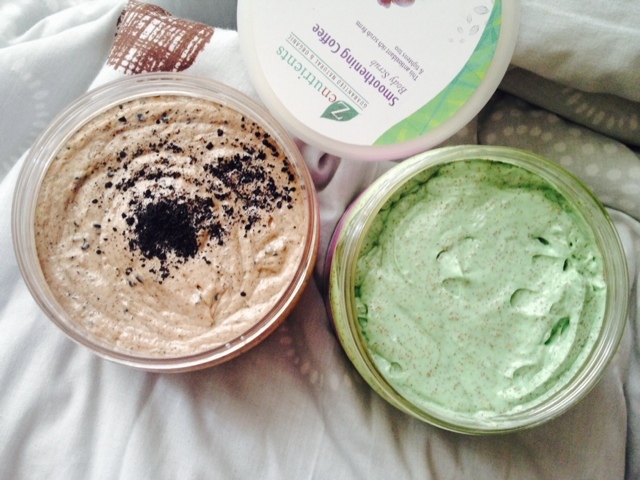 An anti-oxidant body scrub (Smoothening Coffee) and a body scrub with a minty feeling. The price of this body scrub is affordable, too! I got the big ones for only PhP390 each. They have a smaller tub (probably 50g) which is around 200++. Zenutrients Head Office is at 57 East Capitol Drive, Barrio Kapitolyo, Pasig City. They also have several branches in SM Malls. I pampered myself with body scrub if I have time, it's like a budget spa for me. Hehe! Before using the coffee variant, asian secret at yung goat's milk gamit ko. I should try pala the peppermint, so relaxing..
Parang mga shakes:) sarap tignan! Me too, I got so addictive on body scrubs:) asian secrets and gluta c body scrubs naging fave ko! Lalo na yung smoothening coffee! Bonus points for looking like pudding!